As the days get longer, we knitters start to ”yarn” for a project that wasn’t designed to keep off the winter chill. Chill out with these patterns from our independent designers! We love this fashionable clutch, created using the simplest of lace techniques to create this subtle leaf design, perfect for spring and summer evenings on the town. We recommend Drops Cotton Merino, a DK weight yarn with a versatile blend of merino wool and cotton. You’ll only need one ball of this yarn for this project! We love Storm Blue (26), Heather (21), and Forest Green (11), as seen here – check out all available gorgeous shades for yourself! Or, you could go with Topaz (341), Jade (022), and Kingfisher (295) for an extra funky, fashionable look! Ah, the zen calm of knitting – wait. Ah, the zen calm of yoga, stretching into sun salutation and cobra, being at one with the universe. This yoga mat bag pattern is out of this world, using super simple techniques that are suitable for even the most novice of knitters. This pattern features Rowan Creative Linen in Leaf (632) and Natural (621), as seen here. You’ll need 2 hanks of Leaf, and one of Natural to create this bag. For our beginner and less-experienced knitters, we have this pattern, created solely with knit and purl stitches and seamed up to create an adorable, versatile bag that’s perfect for tablets, e-readers, and more. This bag measures 8 inches wide and 10 inches tall, and uses just one hank of Cascade 220 Heathers! The shade pictured is Turtle (2452) but we also love Iris (2421) and Sapphire (9332), but there are truckloads of shades to choose from. This fascinating laptop messenger bag is knitted up using the trendy slipped-stitch mosaic technique to create a delightful honeycomb pattern. The edging features an i-cord, an easy but finished edge that you’ll become obsessed with. We recommend Schachenmayr Boston in Sunfire Marl (280) and Chestnut (010), but there are a variety of delicious shades to choose from. You will need 6 balls of each shade to complete this bag. Which bag has taken your fancy? Last updated: March 18th, 2015. I love the idea of a handmade bag made from yarn but please can we see more patterns for us hookers! 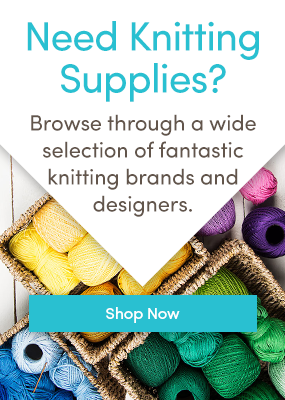 You’ll be pleased to learn that we just launched our sister site, Lovecrochet.com. You can search on their for patterns, and keep an eye out for the LoveCrochet blog which will soon be launching!